A few years ago, Michigan was the worst-rated state in the nation for protecting the rights of its residents from civil asset forfeiture. This practice allows law enforcement to seize property from individuals who have not been convicted of — or even in some cases charged- — with a crime. A legislative proposal introduced in 2012 to establish basic transparency requirements died in committee without ever receiving a vote. For anyone who seeks reforms, that’s been the story of recent decades. Most new laws that have been passed since 1996, when the Mackinac Center first published on the subject, have loosened the restrictions on the state’s ability to use forfeiture — further reducing individual property rights. But last year, in fall 2015, the Legislature not only passed a transparency bill, it also made it more difficult for the government to take ownership of citizens’ property without establishing their guilt. What happened? A lot of hard work and support from citizens. 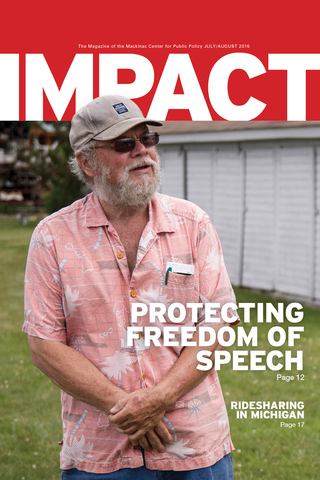 Over the past few years, the Mackinac Center has broken several award-winning stories about victims of civil forfeiture. Law enforcement seized property from Dr. Wally Kowalski and held it for months before any charges were brought against him. Thomas Williams had thousands of dollars in assets taken from him for more than a year though he was not charged with a crime. Sadly, he passed away without ever seeing his property again. When the federal government froze the bank accounts of the Dehkos and Cheungs, families who own a grocery store and restaurant, respectively, we reported on it. Eventually, the IRS gave all the money back to these innocent business owners, and never filed charges. 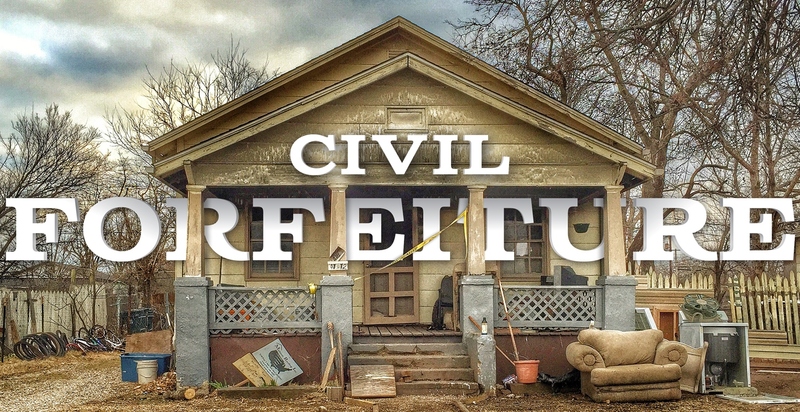 Our study on the problems with civil forfeiture in Michigan, co-authored with the ACLU of Michigan, got statewide attention. Grass roots groups of citizens brought us in for debates. They also came to us for advice on how members of their own communities could prevent the forfeiting of property without a criminal conviction. Attorney General Bill Schuette and U.S. Rep. Tim Walberg joined us at a conference in support of a package of reform bills that the Michigan Legislature later passed. Mackinac Center staff were invited to attend the bill signing. But we’re not done yet. Michigan does not require a criminal conviction before property can be taken and auctioned off, as 10 other states do. Local law enforcement agencies still receive up to 100 percent of the cash from this process, which gives them an incentive to push the envelope when seizing assets. And we’re a long way from joining New Mexico and Nebraska, which ended civil forfeiture altogether. They now require the state to charge and convict a person in front of a judge and jury before taking ownership of their property. New Mexico and Nebraska have also decided that any proceeds from these takings go to the state’s general fund, not to local law enforcement. That means that police agencies cannot use forfeiture to pad their budgets. To push the state to adopt those and other protections, Mackinac Center staff have been busy. A new bill, House Bill 4629 sponsored by Rep. Peter Lucido, would eliminate the 10 percent bond people must now pay before they start the process to get their assets back. (Even people who have not been charged with a crime face this requirement if they wish to retrieve their property.) We wrote an op-ed to support the bill for the Detroit Free Press and testified in favor of it on May 10 in front of the Senate Judiciary Committee. It passed out of committee unanimously and now sits before the full Senate, which is expected to pass it. On May 19, I spoke to a group of citizens in Manistee. I explained the difference between civil and criminal forfeiture, the process of how forfeiture works in Michigan, how we compare to other states with our laws and what the best system would look like. It was only when grass roots citizens got involved on this issue that legislators took notice and did something about it. A few days later, we were invited to hear testimony and give a public comment before Michigan's Advisory Committee to the U.S. Civil Rights Commission. The committee heard from scholars, lawyers, legislators and citizens about the practice of civil forfeiture in the state. Reforming civil asset forfeiture is an important goal which unites people across the political spectrum. It affects everyone from the poor in major cities to middle-class suburban business owners and more. We all deserve constitutional protections to not lose our “life, liberty, or property without due process of law.” Let’s work to achieve that.